Recently an interesting biographic profile of Peter Thiel was published in the article "Why you should beware of Facebook" by the Australian magazine "The Age" on January 20, 2008. This is interesting because Peter Thiel made a very generous donation for anti-aging studies, so it helps to know more about this wealthy philanthropist capable to transform the pace of anti-aging and longevity studies. The profile is written in a somewhat skeptical way, and perhaps maybe incomplete and even inaccurate in some parts -- you are most welcome to post your additions and corrections below by clicking here. "Although the [Facebook] project was initially conceived by media cover star Mark Zuckerberg, the real face behind Facebook is the 40-year-old Silicon Valley venture capitalist and futurist philosopher Peter Thiel. There are only three board members on Facebook, and they are Thiel, Zuckerberg and a third investor called Jim Breyer, from a venture capital firm called Accel Partners (more on him later). Thiel invested $US 500,000 in Facebook when Harvard students Zuckerberg, Chris Hughes and Dustin Moskowitz went to meet him in San Francisco in June 2004, soon after they had launched the site. Thiel now reportedly owns 7% of Facebook, which, at Facebook's current valuation of $US 15 billion ($A 16.65 billion), would be worth more than $US 1 billion. There is much debate on who exactly were the original co-founders of Facebook, but whoever they were, Zuckerberg is the only one left on the board, although Hughes and Moskowitz still work for the company. Thiel is widely regarded in Silicon Valley and in the US venture capital scene as a libertarian genius. He is the co-founder and CEO of the virtual banking system PayPal, which he sold to eBay for $US 1.5 billion, taking $US 55 million for himself. He also runs a £3 billion ($A 6.5 billion) hedge fund called Clarium Capital Management and a venture capital fund called Founders Fund. Bloomberg Markets magazine recently called him "one of the most successful hedge fund managers in the country". He has made money by betting on rising oil prices and by correctly predicting that the dollar would weaken. He and his absurdly wealthy Silicon Valley mates have recently been labelled "The PayPal Mafia" by Fortune magazine, whose reporter also observed that Thiel has a uniformed butler and a $US 500,000 McLaren supercar. Thiel is also a chess master and intensely competitive. He has been known to sweep the chessmen off the table in a fury when losing. And he does not apologise for this hyper-competitiveness, saying: "Show me a good loser and I'll show you a loser." But Thiel is more than just a clever and avaricious capitalist. He is a futurist philosopher and neocon activist. A philosophy graduate from Stanford, in 1998 he co-wrote a book called The Diversity Myth, which is a detailed attack on liberalism and the multiculturalist ideology that dominated Stanford. He claimed that the "multiculture" led to a lessening of individual freedoms. While a student at Stanford, Thiel founded a right-wing journal, still up and running, called The Stanford Review ­ motto: Fiat Lux ("Let there be light"). Thiel is a member of TheVanguard.Org, an internet-based neoconservative pressure group that was set up to attack MoveOn.org, a liberal pressure group that works on the web. Thiel calls himself "way libertarian". TheVanguard is run by one Rod D. Martin, a philosopher-capitalist whom Thiel greatly admires. On the site, Thiel says: "Rod is one of our nation's leading minds in the creation of new and needed ideas for public policy. He possesses a more complete understanding of America than most executives have of their own businesses." This little taster from their website will give you an idea of their vision for the world: "TheVanguard.Org is an online community of Americans who believe in conservative values, the free market and limited government as the best means to bring hope and ever-increasing opportunity to everyone, especially the poorest among us." Their aim is to promote policies that will "reshape America and the globe". TheVanguard describes its politics as "Reaganite/Thatcherite". The chairman's message says: "Today we'll teach MoveOn (the liberal website), Hillary and the left-wing media some lessons they never imagined." SO, THIEL'S POLITICS ARE not in doubt. What about his philosophy? I listened to a podcast of an address Thiel gave about his ideas for the future. His philosophy, briefly, is this: since the 17th century, certain enlightened thinkers have been taking the world away from the old-fashioned nature-bound life, and here he quotes Thomas Hobbes' famous characterisation of life as "nasty, brutish and short", and towards a new virtual world where we have conquered nature. Value now exists in imaginary things. Thiel says that PayPal was motivated by this belief: that you can find value not in real manufactured objects, but in the relations between human beings. PayPal was a way of moving money around the world with no restriction. Bloomberg Markets puts it like this: "For Thiel, PayPal was all about freedom: it would enable people to skirt currency controls and move money around the globe." Clearly, Facebook is another uber-capitalist experiment: can you make money out of friendship? Can you create communities free of national boundaries ­ and then sell Coca-Cola to them? Facebook is profoundly uncreative. It makes nothing at all. It simply mediates in relationships that were happening anyway. 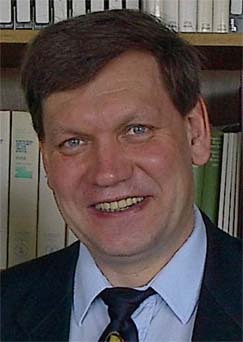 Thiel's philosophical mentor is one Rene Girard of Stanford University, proponent of a theory of human behaviour called mimetic desire. Girard reckons that people are essentially sheep-like and will copy one another without much reflection. The theory would also seem to be proved correct in the case of Thiel's virtual worlds: the desired object is irrelevant; all you need to know is that human beings will tend to move in flocks. Hence financial bubbles. Hence the enormous popularity of Facebook. Girard is a regular at Thiel's intellectual soirees. What you don't hear about in Thiel's philosophy, by the way, are old-fashioned real-world concepts such as art, beauty, love, pleasure and truth. The internet is immensely appealing to neocons such as Thiel because it promises a certain sort of freedom in human relations and in business, freedom from pesky national laws, national boundaries and suchlike. The internet opens up a world of free trade and laissez-faire expansion. Thiel also seems to approve of offshore tax havens, and claims that 40% of the world's wealth resides in places such as Vanuatu, the Cayman Islands, Monaco and Barbados. I think it's fair to say that Thiel is against tax. He also likes the globalisation of digital culture because it makes the banking overlords hard to attack: "You can't have a workers' revolution to take over a bank if the bank is in Vanuatu," he says. If life in the past was nasty, brutish and short, then in the future Thiel wants to make it much longer, and to this end he has also invested in a firm that is exploring life-extension technologies. He has pledged £3.5 million to a Cambridge-based gerontologist called Aubrey de Grey, who is searching for the key to immortality. Thiel is also on the board of advisers of something called the Singularity Institute for Artificial Intelligence. From its fantastical website, the following: "The Singularity is the technological creation of smarter-than-human intelligence. There are several technologies … heading in this direction … Artificial Intelligence … direct brain-computer interfaces … genetic engineering … different technologies which, if they reached a threshold level of sophistication, would enable the creation of smarter-than-human intelligence." "Why you should beware of Facebook"
by the Australian magazine "The Age" on January 20, 2008. You are most welcome to post your additions and corrections below by clicking here. It may be interesting to hear from the experts here, whether these supplements would really work, are their doses appropriate, and what side effects may be possible. New Books on Aging and Longevity Studies upcoming in January 2008. You are most welcome to add new books here yourself if you do know some new interesting books! See also the list of over 300 new books on Aging & Longevity published in 2007. Here is the list of new books on aging and longevity, which will be published this month.